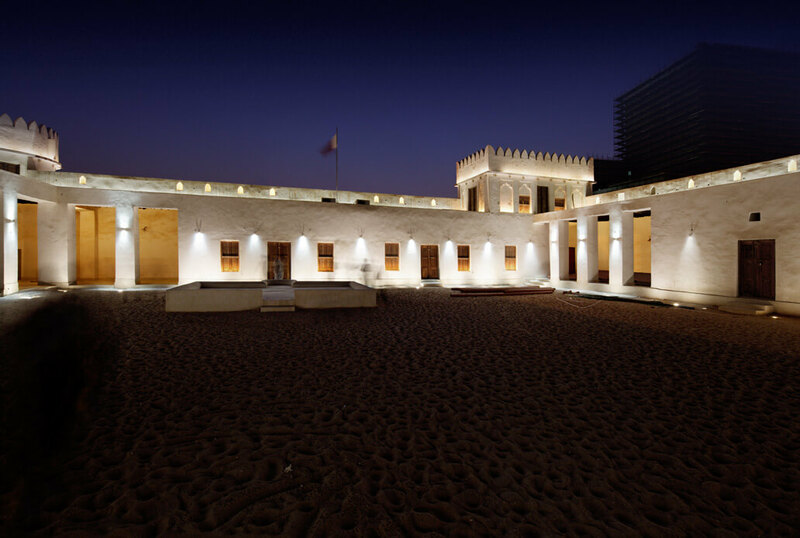 The military fortress Al Koot was built outside the historic center of Doha in 1880. Following an initial restoration in 1978, the fort was reconstructed a few years ago in Moorish Style following historic plans. 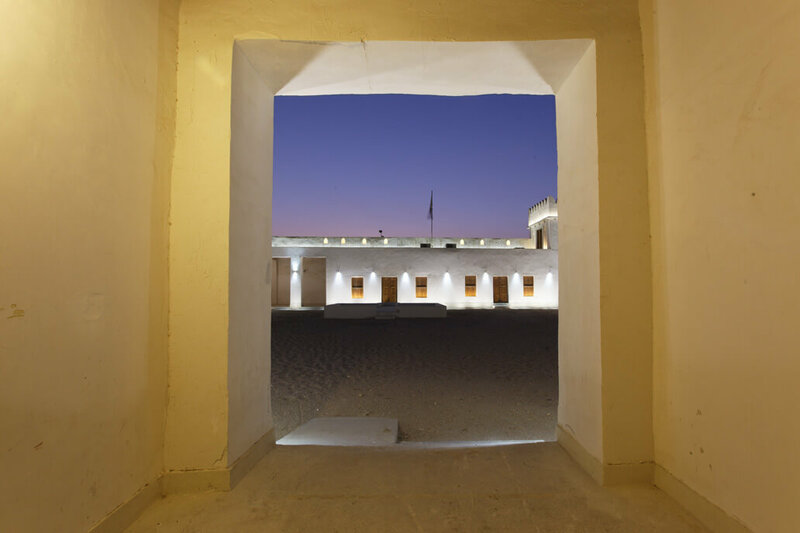 The light installation implemented at the fort in 2010 illuminates the light-colored, rough plaster of the walls and emphasizes the corner towers and the arrow-tip-shaped battlements. 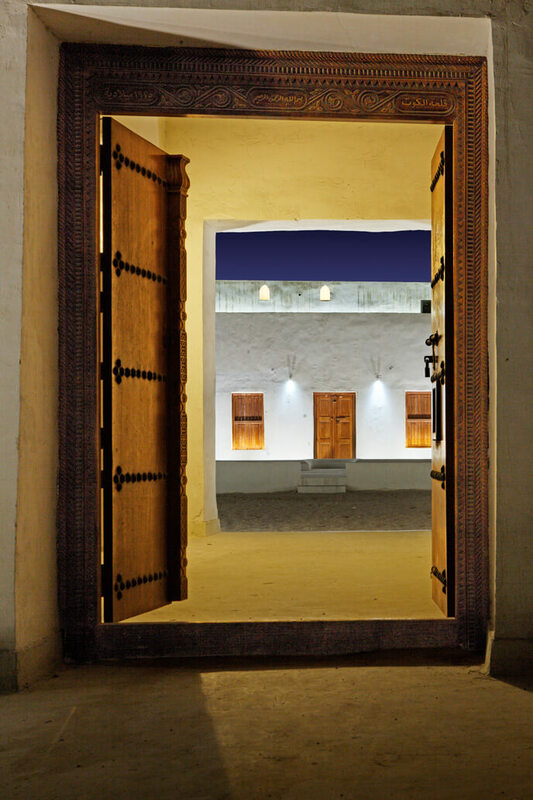 A warm, inviting light exudes from the porticoes as well as the door and window openings.